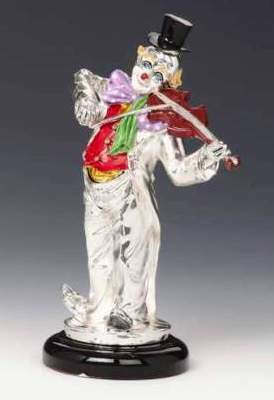 Large high polish finished sterling silver clown playing violin. This clown is from our premium range of clown collectables. This stunning sterling silver clown would make a wonderful gift that shows originality and style. This silver clown comes gift boxed.